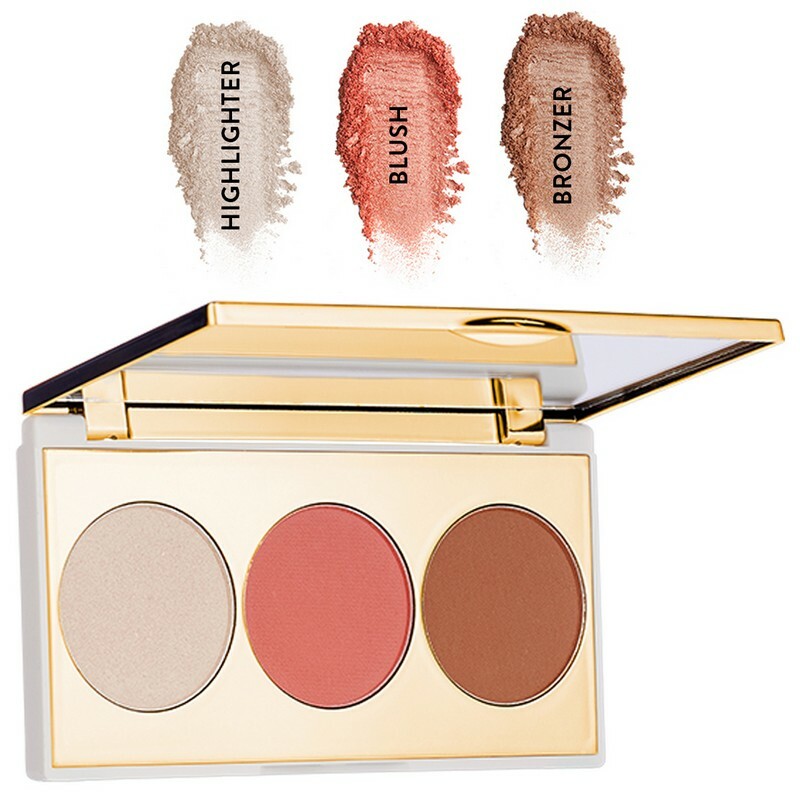 A 3-in-1 makeup palette with a light brown bronzer, peach coloured blush and a golden highlighter. -Using an angled brush or the tip of your finger, apply highlighter on to forehead, cheekbones, nose bridge and chin. -Use a blush brush or powder brush to apply the blush. -Dab the brush on the blush and tap it to drop off excess. 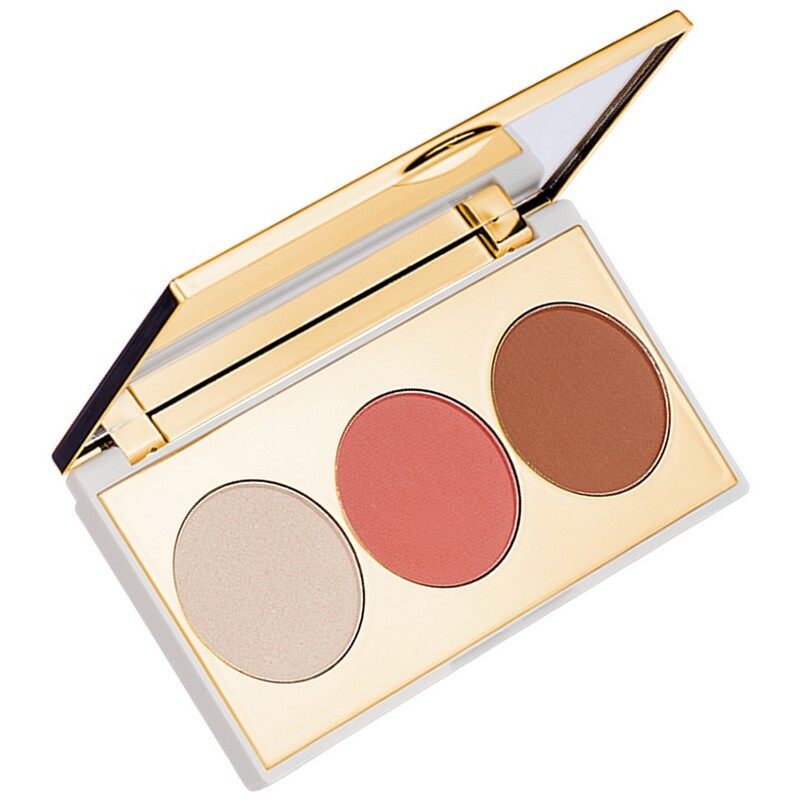 -Apply the blush on your cheek bones with light upward strokes and blend evenly. -Choose a bronzer two shades darker than your own skin tone. -Apply using a brush on to your forehead, chin and base of your cheekbones. -If desired, apply on the entire face and neck for a tanned glow.